Enjoy drinks, hors d'oeuvres and live, energetic music by Nkumu Katalay overlooking the firefly-lit sculpture park at Omi, in the company of our artists-in-residence and upstate arts community. 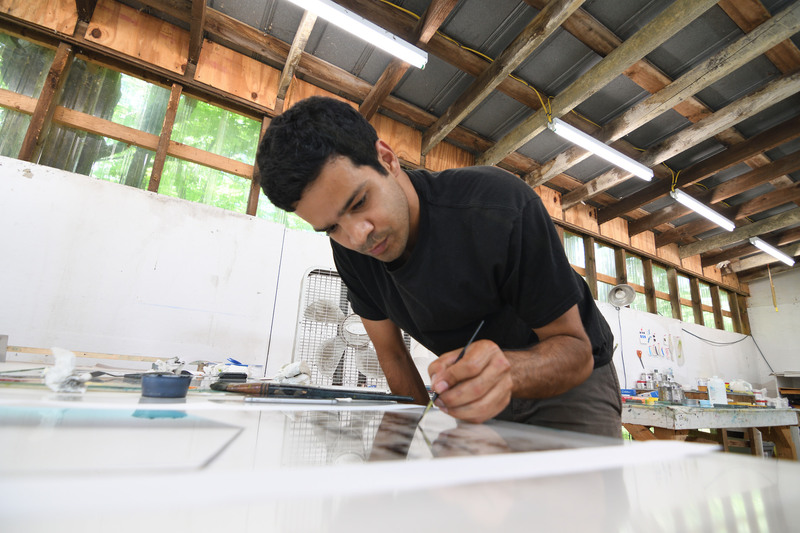 Celebrate the culmination of this year's' artists residency and Open Studios the following day! Cash/check/card accepted at the door. On Sunday morning, Art Omi celebrates our international artists-in-residence and with a country brunch on the lawn of Ledig House. Join us for mimosas, a carving station, and fresh fruit to fuel up before you head down to the Studio Barns! Tickets are required to attend Country Brunch, and can be purchased here.